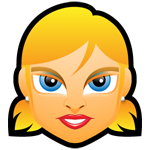 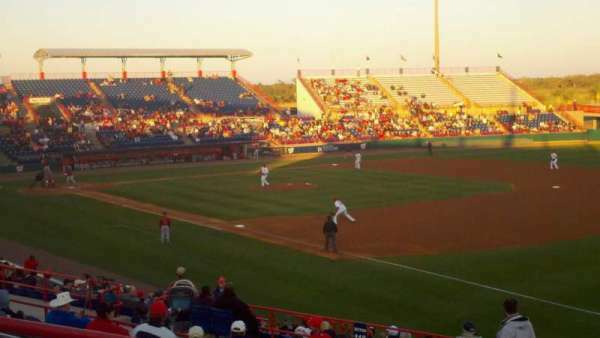 Seats are included with private suite rental. 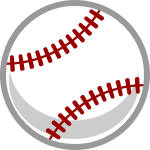 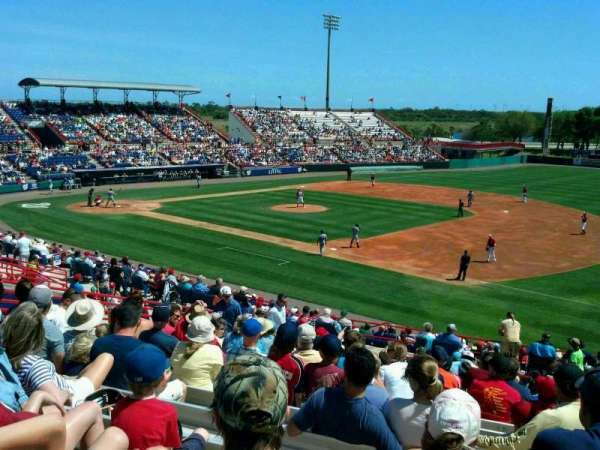 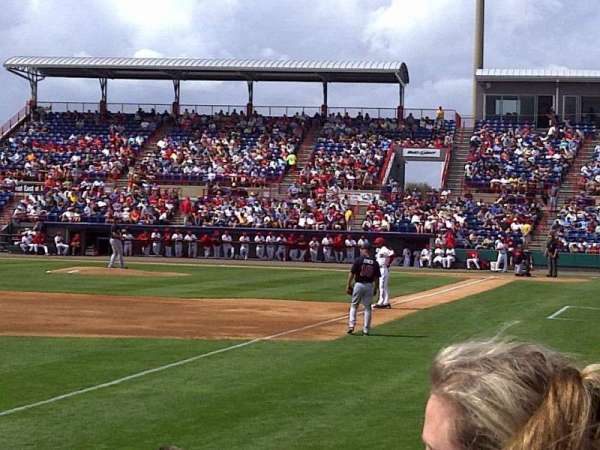 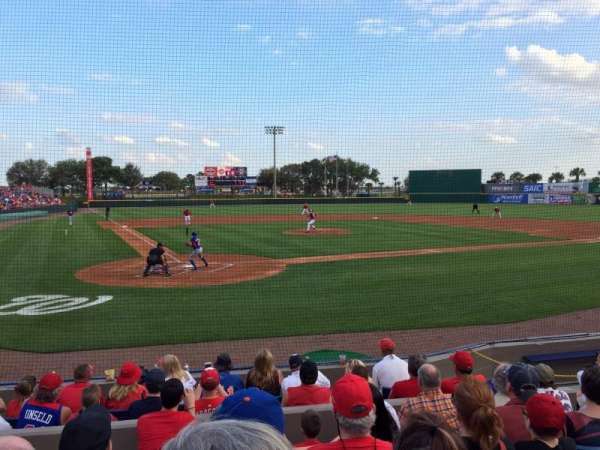 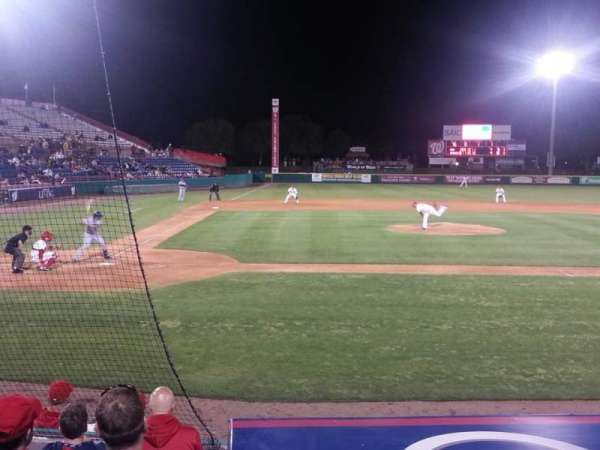 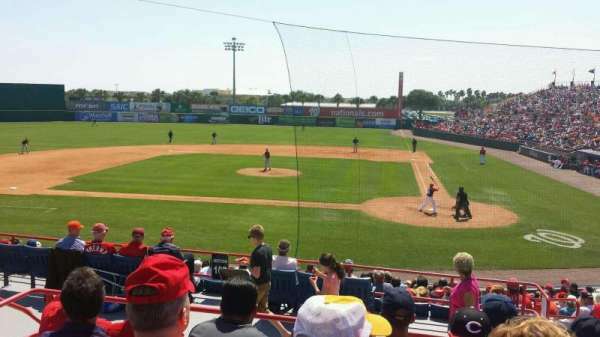 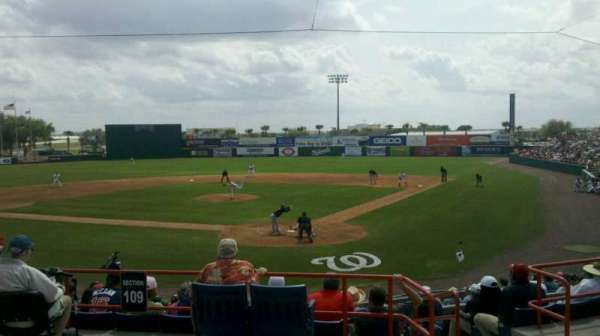 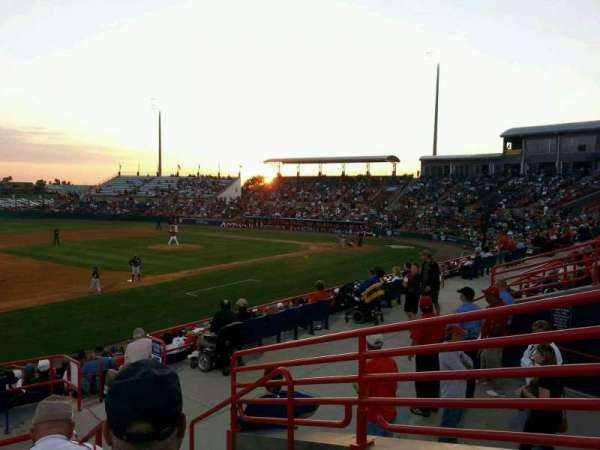 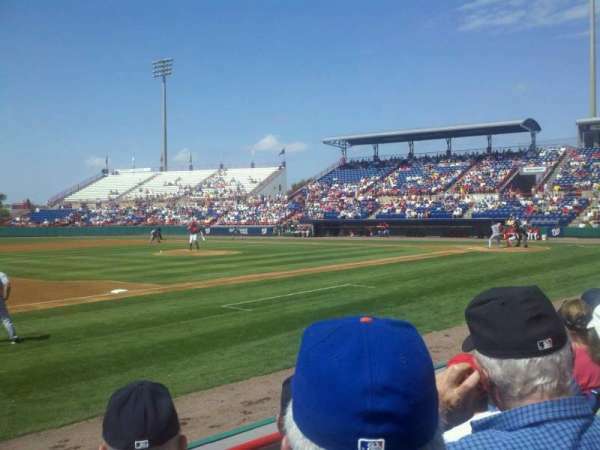 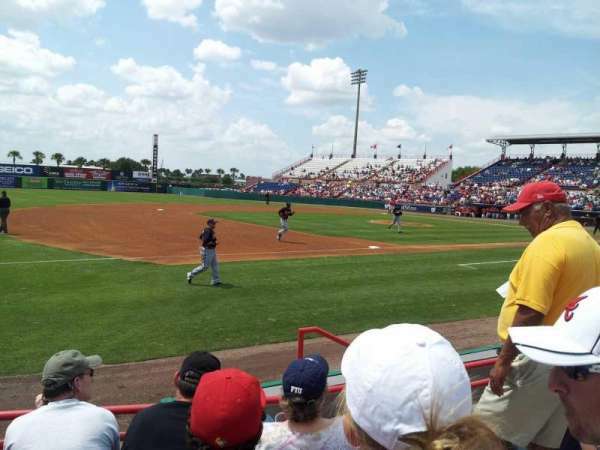 Space Coast Stadium is the spring training facility for the Washington Nationals. 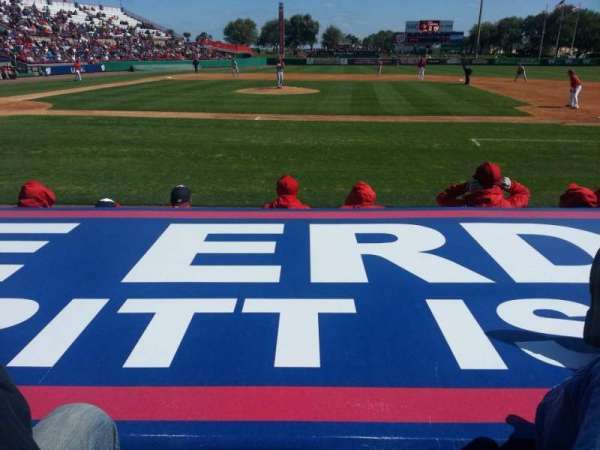 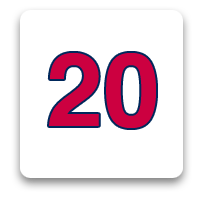 This seat was located directly behind home plate. 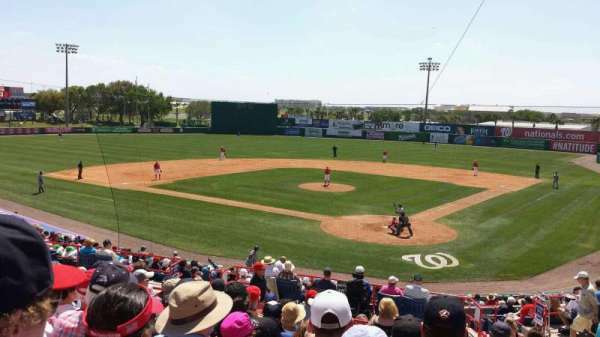 Spring Training facility for the Washington Nationals. 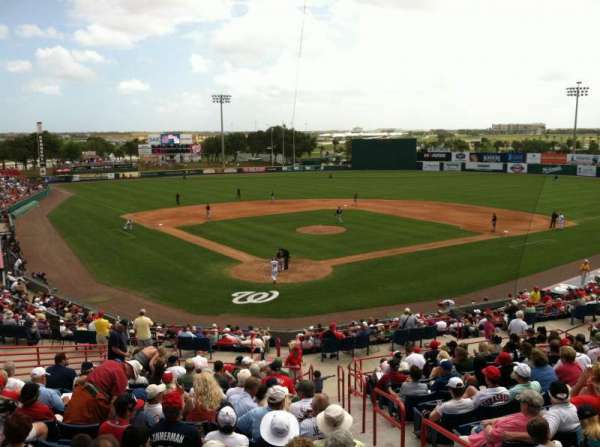 Spring Training facility for the Washington Nationals. 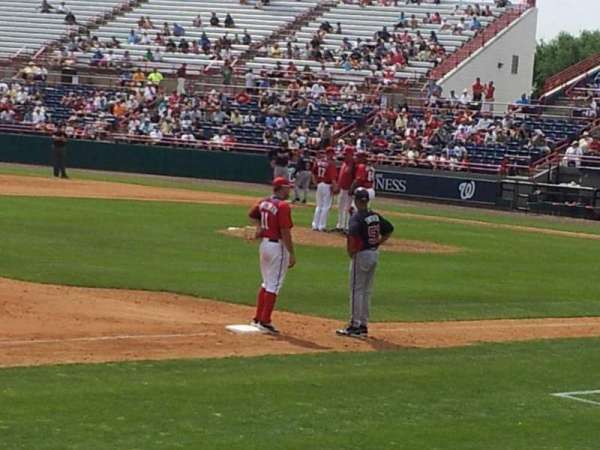 Great seats right over dugout. 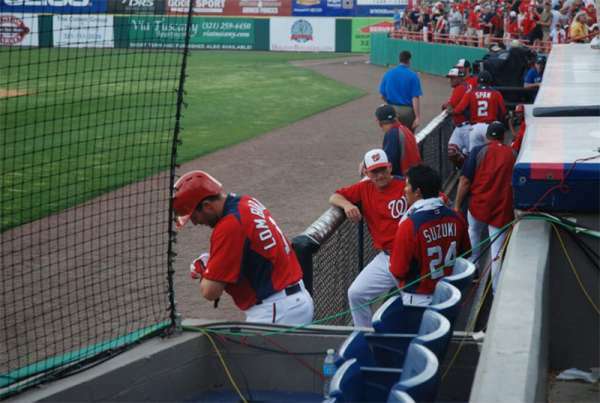 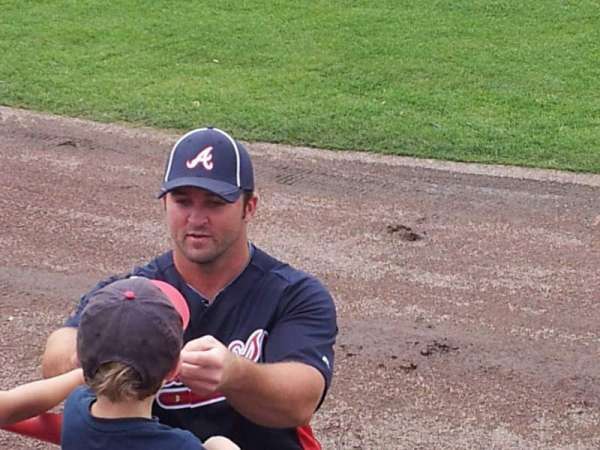 Great seats & good place to get autographs before game. 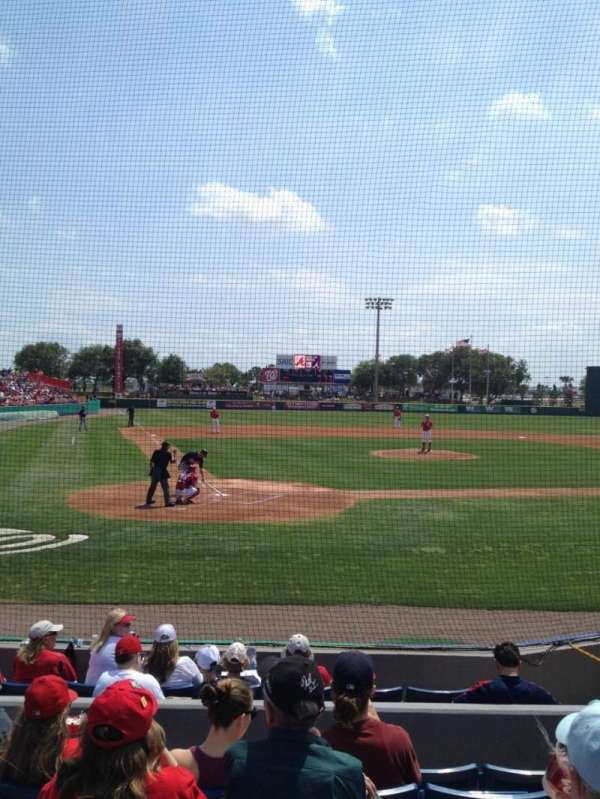 Great seats esp.for the visitors side! 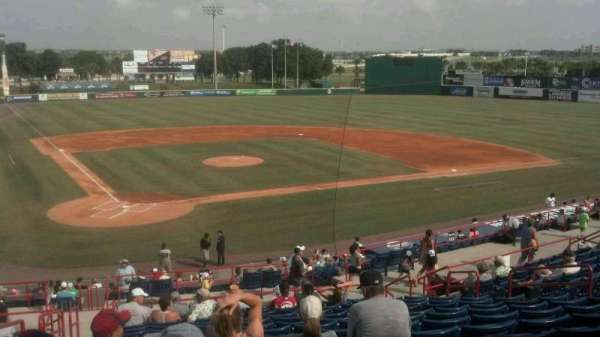 Great ballpark, wide open view.